And the methodology behind the structure, logic and calculations. More importantly, trust you’re looking at the most up-to-date version. 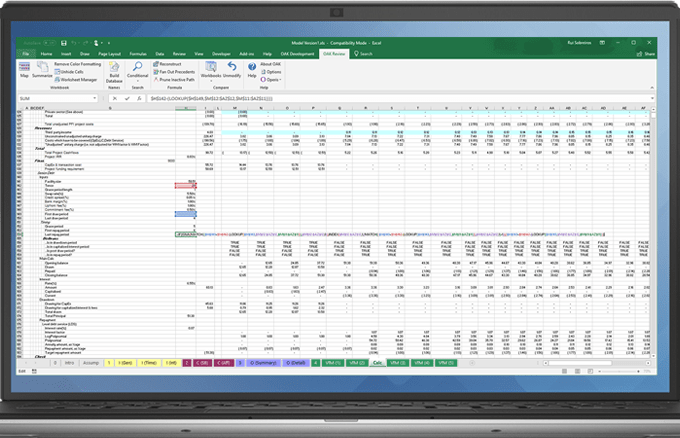 Verify a spreadsheet’s outputs are based on correct calculations. Understand how a calculation derives its result. Never miss important information. Reveal hidden cells across an entire workbook. Make sure you never miss key content. Expose hidden sheets. Revert range names to cell references in just one click. Find cells with a specific formula or values using conditions. Copy the entire path of a specific cell into a document/email. Make an exact copy of a formulas while keeping the same cell references.